Kelly Ramey was born and raised in Wilmington, Delaware. She received a B.S. in Occupational Therapy from The University of New England in 1996 and obtained an M.B.A. from Salisbury University in 2003. She became a proud Houstonian in 2006 when she moved with her husband back to his great home state of Texas. Kelly has been a practicing Occupational Therapist since 1997. She has worked with clients suffering from various physical and mental disabilities, in multiple healthcare settings. As an Occupational Therapist, she engages clients in purposeful, therapeutic activities to turn disabilities into abilities which enable independent participation in everyday activities ranging from basic life skills to work to recreational activities. She has always been interested in and used wellness activities as a therapeutic intervention to increase functional abilities, cognitive performance, motivation and personal productivity in her clients. She believes that building a healthy community starts with each individual member. Living a wellness based lifestyle creates a vibrant, healthy, productive community. Kelly has been pursuing a healthy lifestyle for most of her life. An avid runner since grade school, she ran cross country and track in high school and helped start the women’s cross country team at The University of New England. Since then she has completed 25 marathons, numerous half marathons and can’t keep track of the number of 5 and 10K’s. Kelly’s most recent accomplishments include: completing the R2R2R crossing of the Grand Canyon in Oct. of 2013 (crossing the Grand Canyon from the south rim to the north rim and back again) finishing three 50 mile races, winning the Seabrook Marathon in 2014, finishing her first 100 mile race in September 2014 and running the Boston Marathon April 2015 She is a member of the USATF and The Road Runners Club of America and obtained certification as an RRCA Running Coach in 2008. 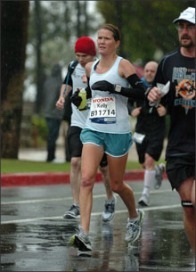 Kelly is also a member of the Houston Area Road Runners Association and The Houston Striders. Running has been the main driving factor in Kelly’s journey to wellness, but she has also started to participate in weight training, yoga, and Pilates to help balance out her lifestyle. She is also seeking new adventures in healthy cooking and simple meal planning. She is an avid believer in no diet is a good diet and believes that education about proper nutrition and meal planning lead to healthy habits that will last a lifetime. Kelly founded The Houston Wellness Project to bring wellness education and activities to the Houston community. 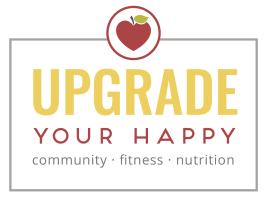 There are many paths to wellness and Kelly hopes to help community members find their own personal wellness path so that they may make informed decisions about their health and empower them to engage in a lifelong wellness journey.